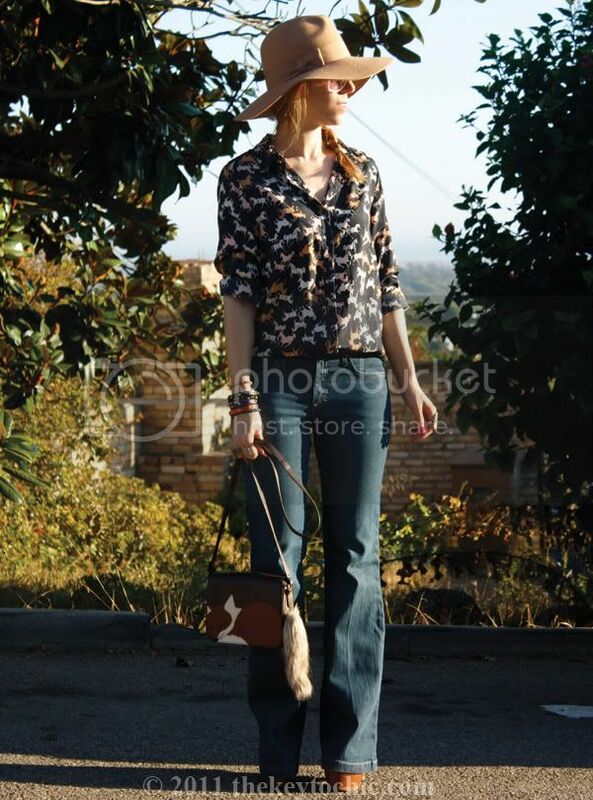 With a nod to the British heritage trend, I'm wearing an equestrian-themed blouse and fox handbag. 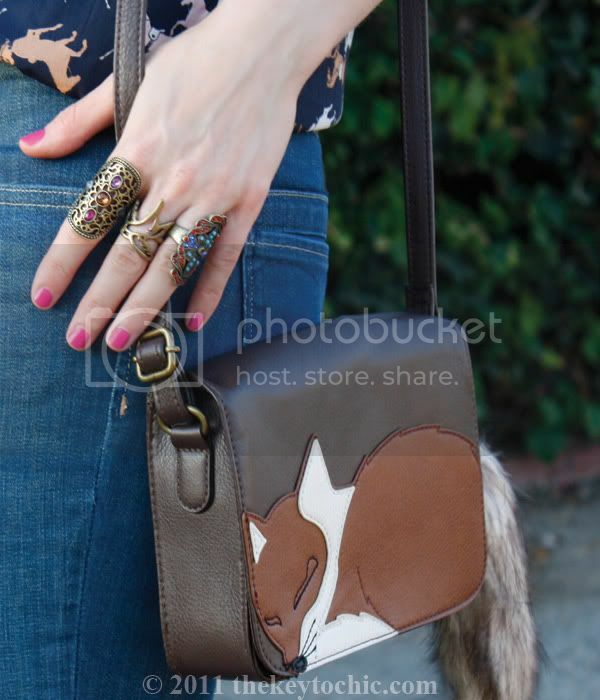 Upon first sighting this fox motif handbag in the H&M magazine a while ago, and then seeing it in the 3rd St. Promenade store in Santa Monica, I was ecstatic. In the past, my luck with finding items featured in the magazine has been dodgy at best. I'm hoping that H&M's highly anticipated online shopping will give me better access to the more limited items, and I expect that it will feed my insatiable appetite for fast fashion. You may notice an abundance of jewelry here, as I've been influenced by a few "arm party" photos on Instagram, my most-used cell phone app and my latest social networking obsession. I'm attempting to master the layered jewelry effect with the purchase of some new rings and bracelets. I'm not typically one to layer bangles and rings, as I tend to focus more on footwear, hats, and printed pieces, however, I'm trying to make use of my accessories as the focal point of the outfit. Sometimes it's all in the details! 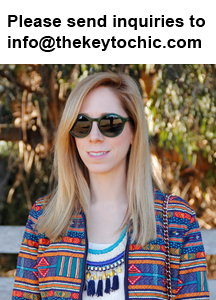 **Also be sure to check out the guest post I did for the Bakers Shoeternity blog featuring three tips for updating your fall wardrobe. 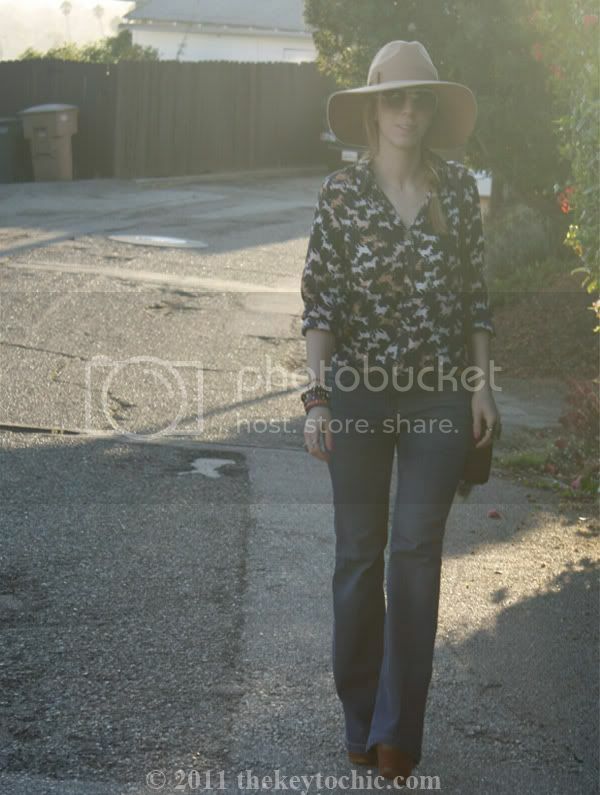 Wearing: Forever 21 hat, H&M horse print blouse (similar here) and flared jeans, Steve Madden Collosul boots, and assorted jewelry.